SEAtongue specializes in Pashto translation services. With over 10 years’ experience in the industry, we have built up a network of highly trained in-house linguists, business partners and satisfied clients across the world. Because we place our customers at the center of our practice we are able to offer a unique customized solution whatever language, industry, or specialist knowledge may be required. 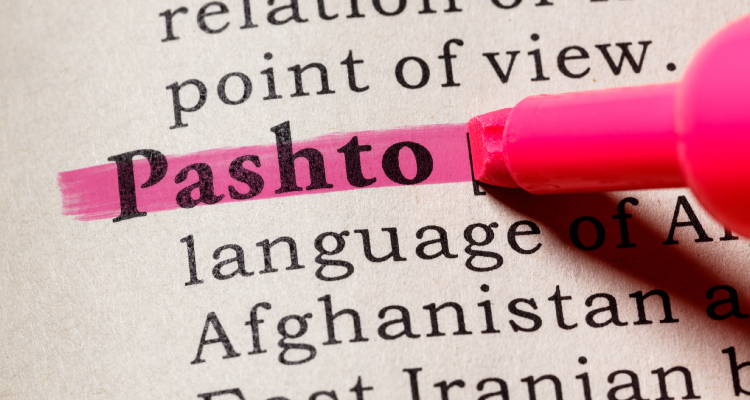 Other Names of Pashto: Pakhto, Pushto, Pukhto, Pashtu, Paxto, Pushtu, Afghani. Pashto Language Varieties: Waziri, Southwestern (Kandahari), Varieties are divided into two varieties, the northern variety Pax̌to, and the southern variety Paṣ̌to.The southern dialect of Wanetsi is the most distinctive of the dialects. Pashto is Spoken in: Afghanistan, Pakistan, Iran. Pashto Number of Speakers: 60 million people speak Pashto. Based in the heart of Southeast Asia we have skilled language managers for all the main South East languages and providing excellent customer care we monitor all our processes and systems in this way, we ensure you receive a high-quality linguistic service based on your customer needs, budget and deadline. Translation: including editing, review, proofreading, TM creation, terminology management, alignment, quality assessment and transcription. DTP: including typesetting/layout, graphics editing, content tagging, data conversion, content management. Engineering: including software localization, e-learning localization, conversion, linguistic testing, software testing, help engineering, flash engineering.